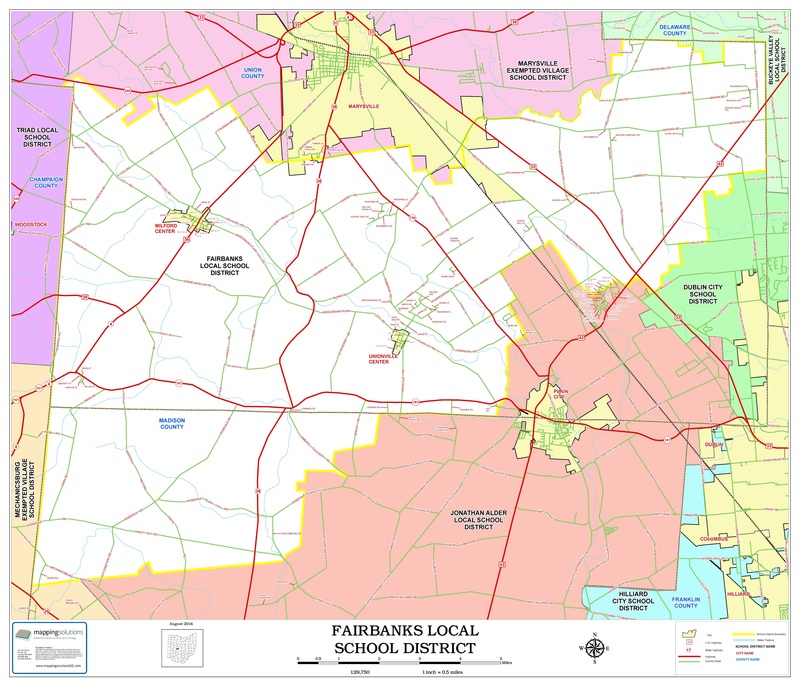 The Fairbanks Local School District was founded in 1960 and was named after Charles W. Fairbanks. Charles was born in a log cabin located in Unionville Center 1852. He was raised in Unionville Center, Ohio and graduated from school at Unionville Center. He went on to attend Ohio Wesleyan University, where he studied law, and graduated in 1872. After marrying a Marysville resident, they moved to Indianapolis, Indiana, where he became active in politics. Charles W. Fairbanks was elected to the United States Senate (Republican, Indiana) in 1896, from which he resigned in 1904 to run as Theodore Roosevelt's Vice President. He served as Vice President from 1905 to 1909. Following this, he returned to his law practice in Indiana. Fairbanks died in 1918 and is buried in Indianapolis. Charles made significant and important contributions to the development of our American History. Cheer for its Fairbanks Winning, Cheer 'Til the Noise is Dinning, Cheer for the Panthers, They're the Men Who Wear the "F"! Hail to the Team that's First Rate, Hail to the Name of Fairbanks, Hail to the Panthers, Fighting on to Victory! Hey! Fairbanks our high school dear, Firm as the land you grace; Never can time efface Our faith in thee. Though years part us from thy halls Loyal to thee we'll stay Praising as we do today Our Fairbanks High. Teach us to build our lives Founded on love and truth, Proud of our years as youth At Fairbanks High For you our prayers will rise To God above the skies. Guarding with watchful eye, Our Fairbanks High.